We're counting down the best films in the legendary career of Humphrey Bogart. Himself, he never took too seriously -- his work, most seriously. He regarded the somewhat gaudy figure of Bogart, the star, with amused cynicism; Bogart, the actor, he held in deep respect." John Huston. Humphrey Bogart is the quintessential American movie star. His image is still recognized all over the world and his persona -- the cynical loner with a romantic soul -- left an indelible mark on pop culture and helped shape the trajectory of American cinema. Bogie appeared in many classics in his 30-year career, but today, we’re boiling Bogart’s filmography down to the five essential films that defined one of the greatest of all screen actors. Bogart had been kicking around Hollywood for more than a decade before he landed the role of world-weary private eye Sam Spade in The Maltese Falcon. Bogart came to Hollywood in the early thirties, but he made little impact and returned to Broadway, where he landed his big break as vicious gangster Duke Mantee in The Petrified Forest. Bogart recreated the role in the 1936 film version and he became one of Warner Brothers most reliable supporting players in the late thirties, especially opposite James Cagney in three classic films (Angels with Dirty Faces, The Roaring Twenties, The Oklahoma Kid). 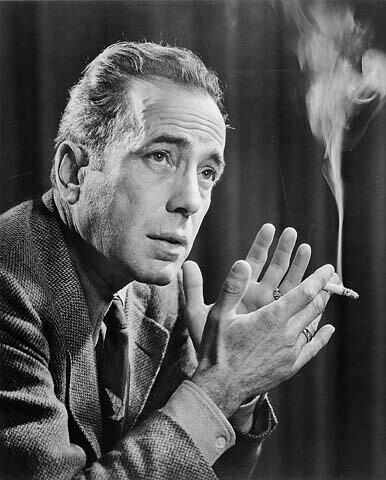 Bogart’s big break came in 1941 when he was cast in two memorable roles. The first was in Raoul Walsh’s High Sierra, a low-budget gangster film that featured Bogie and Ida Lupino as doomed lovers on the run from the law. 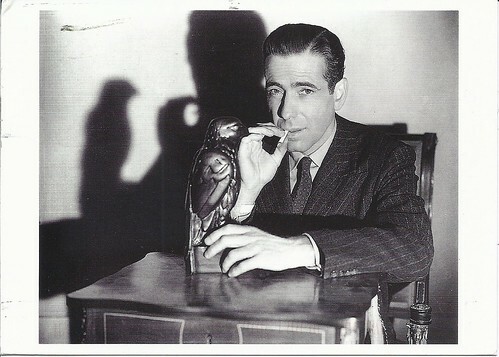 High Sierra was a hit, but The Maltese Falcon was a landmark in American cinema. Bogart is perfection as Spade, but he only got the role because several other actors, including George Raft, turned it down. Available on DVD and video on demand. 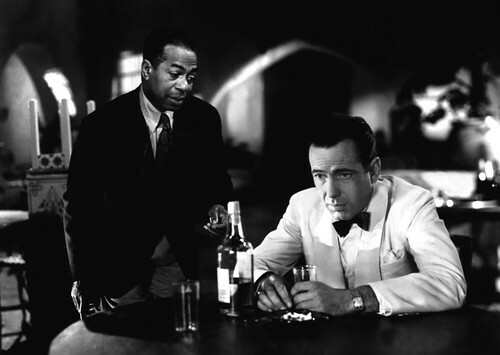 Casablanca is really an ensemble film (it probably has the finest cast of any old Hollywood movie), but Bogart’s performance as Rick Blaine, the world-weary cafe owner who is riding out World War II in North Africa , is the first among equals. Bogart was never a traditional matinee idol, but his ill-fated romance with Ingrid Bergman made Bogie one of cinema’s great romantics. The Maltese Falcon made Bogie a star, but Casablanca secured his stardom, placing Bogart in the first ranks of Old Hollywood's leading men. DVD and video on demand. 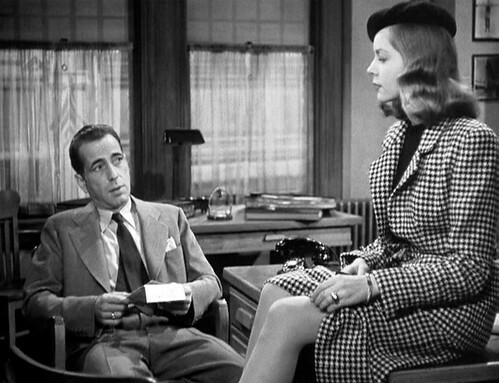 Bogart and Bacall’s legendary romance began with To Have and To Have Not (1945) and continued with Howard Hawks’ twisty film noir, The Big Sleep. To Have and To Have Not is probably the best Bogart and Bacall film, but it’s really a showcase for Bacall with Bogie playing her adoring sidekick. Bogart is back in the driver’s seat with The Big Sleep, once again playing a cynical private detective (this time it’s Philip Marlowe) who is surrounded by a cast of shady characters, including not one, but two femmes fatale (Dorothy Malone and Bacall). Bogart and Bacall would make two more movies together (Dark Passage in 1947 and Key Largo in 1948), but they would never recapture the magic of their first two films. DVD and video on demand. By 1948, Bogart was probably the biggest star in old Hollywood. He could have rested on his laurels, but to his great credit he used his prestige to take on challenging roles. Gold miner Fred C.. Dobbs is a complex role for any actor -- Dobbs basically goes from all-around decent guy to Gollum during the course of the film-- and Bogart gives an exceptional performance, probably the best of his career. It’s a pity he didn’t win the Oscar for this role, but Academy voters went for Laurence Olivier’s hammy thesping in Hamlet. DVD and video on demand. Bogart finally got his Oscar in 1951, but it was for the wrong film. He won the best actor trophy for his portrayal of drunken riverboat captain Charlie Allnut in The African Queen. Bogie is perfectly fine and The African Queen is a splendid film, but there’s no comparison between the irascible, but noble Charlie and the neurotic screenwriter Dix Steele in Nicholas Ray’s In a Lonely Place. The film is in some ways a knock-off of Sunset Boulevard (1950), featuring cynicism and murder in Hollywood, but it’s a first rate knock-off and Bogart gives an extremely daring performance in the film. Bogart earned his chops in the thirties by playing sniveling baddies, but once he became a star, he carefully guarded his image, playing a series of outwardly cynical men who were true romantics at heart. There’s nothing noble or heroic about Steele, a broke screenwriter who is an alcoholic and violent towards women (in this case, Gloria Grahame). 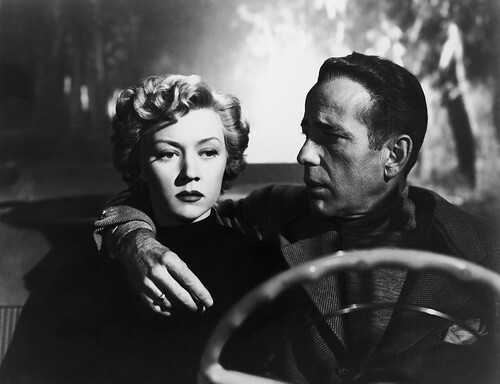 Bogart was never this vulnerable on film again -- he would die of cancer in 1957 -- but his performance In a Lonely Place stands as the masterpiece of his later career. DVD and video on demand.